This short manual will help you create your own Elfsight Countdown Timer and add it on your website. 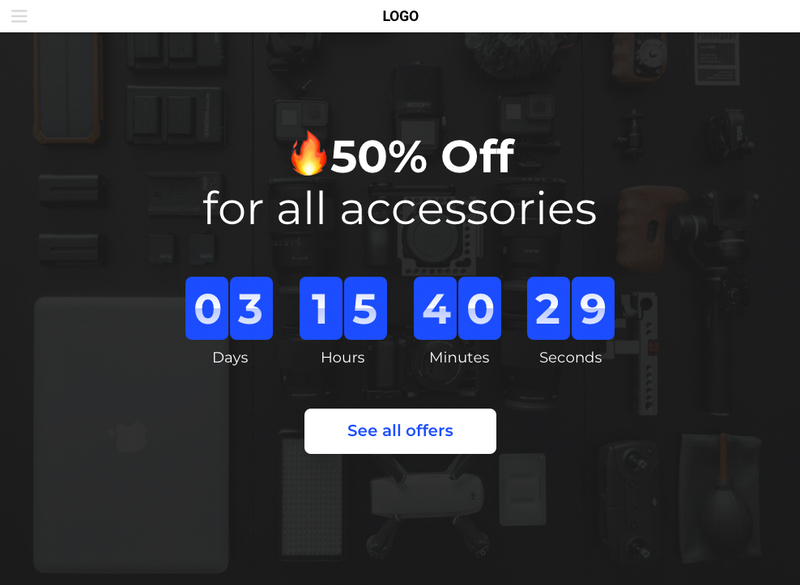 Spend just a couple seconds of your time to add the best timer widget on your site. How to tune plugin settings after the installation? BONUS: Have your Countdown Timer right now! A small tutorial for those who are familiar with the admin panel and can make small changes to website HTML code. For more info on each of the stages, vast descriptions, and screenshots, please check below. You can as well address customer support and have free help with plugin installation (available for all Elfsight customers). An extensive tutorial for every step of the process. The first stage – set the interface and features. Start constructing a plugin with the help of the editor or register in the service. 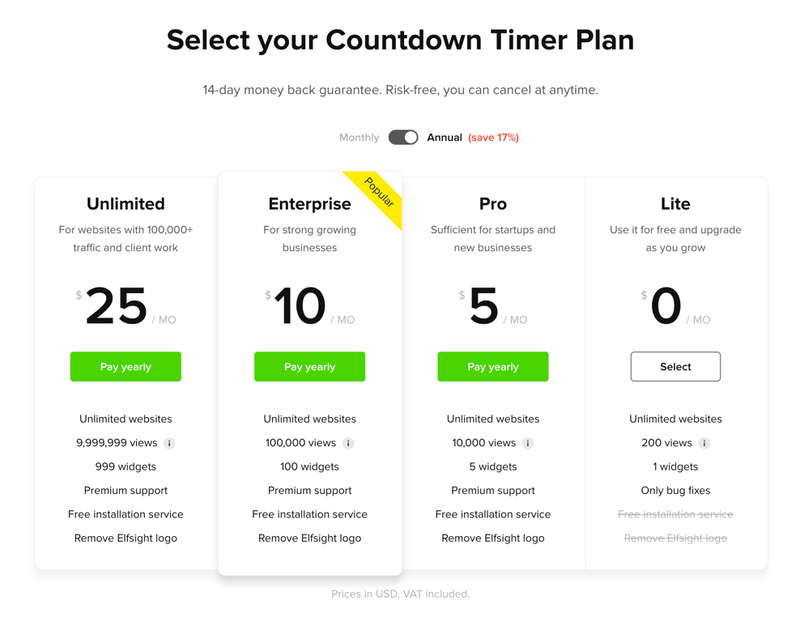 Pick one of the premium service plans for your site or try the plugin with the help of the free plan. Copy the plugin installation code, which you has received at Elfsight Apps, to insert it into the website. 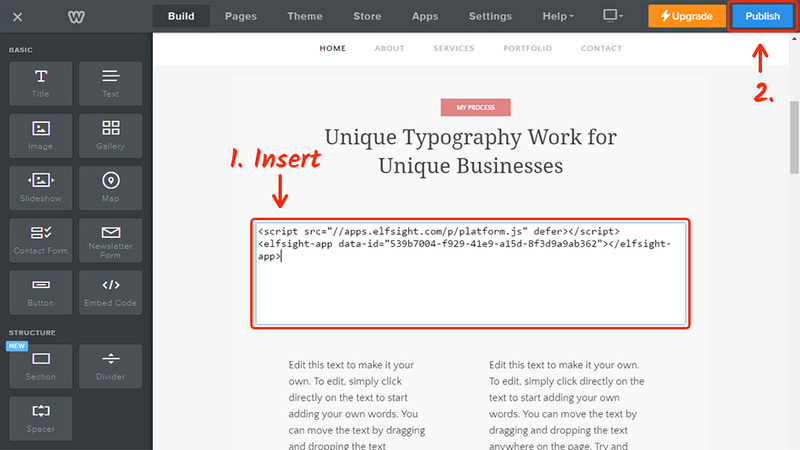 The second stage – put the designed plugin into the code of your page or template. Log into your website to reach the editor and edit the code. Reach the page where you plan to place the plugin or the template of the website and paste the plugin code received at Elfsight Apps. Apply the changes. Once you have done the installation, you can go to your account at Elfsight and customize the parameters or the interface of the plugin right there. All the changes are immediately applied automatically. Also see more about the app on Weebly Countdown Timer page. Have your Countdown Timer right now! 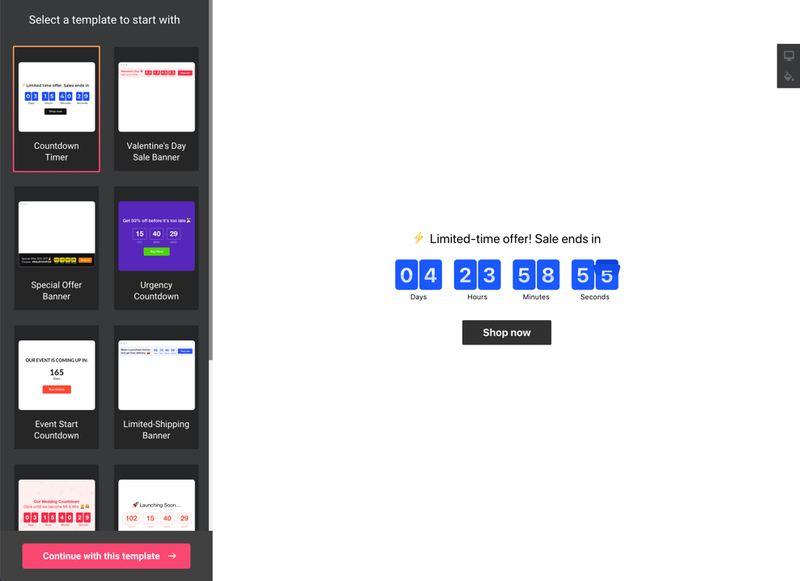 Test our simple free configurator for quick creation of widgets.